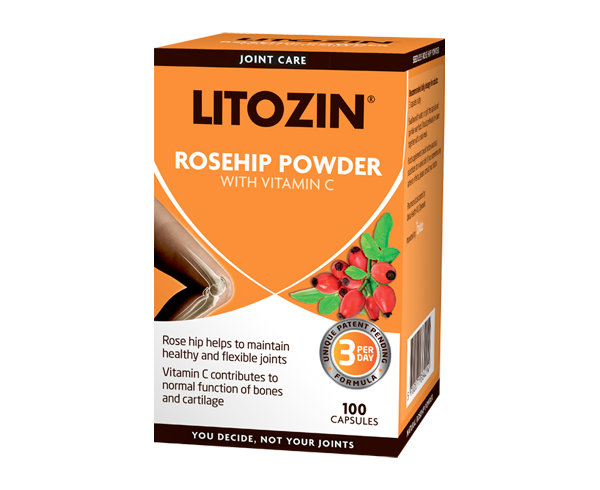 LITOZIN® rosehip capsules are produced from wild growing rosehip berries, Rosa Canina L. The berries are growing in the pristine surroundings of Southern Chile, where they are carefully handpicked, gently dried and processed through the patent-pending manufacturing process. 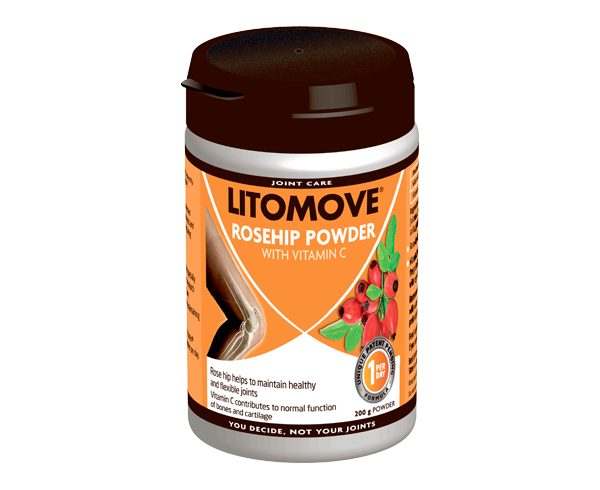 Why rosehip and vitamin C? Vitamin C contributes to the normal function of bones and cartilage and the protection of cell constituents from oxidative damage, together with regeneration of the reduced from vitamin E.
Wild rose powder incl. 4% Rosenoids® complex (vitamin C (sodium-L-ascorbate), flavonoids, carotenes, triterpenoic acids, galactolipids), gelatine. In some countries, capsules are gelatine free. Contact local sales offices for accurate product information. Rosenoids® is the complex of key components in rosehip and consists of galactolipids, triterpenoic acids, vitamin C, carotenes, and flavonoids. 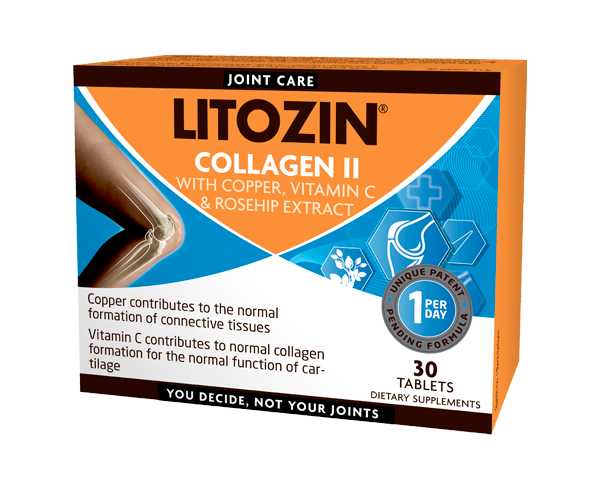 Only LITOZIN® contains Rosenoids®. 3 capsules. Swallow with water, or split the capsule and sprinkle over the food. Should be taken in connection with a meal. This product is part of our product range. Not all products may be available in your country. You are welcome to contact the distributor of your country or Orkla Health AS for more details. What is affecting your joint wellness? 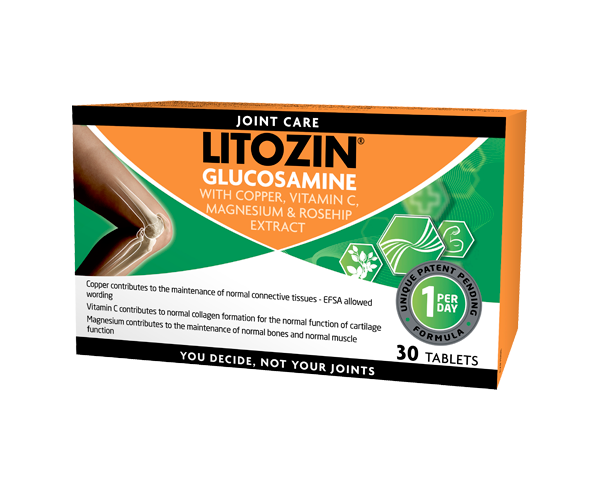 The only way to find out if LITOZIN® is a product for you, is to try it. If you are interested in being our distributor, you are welcome to contact us. Orkla Health, previously called Axellus, sells products for health and well-being. We aim to develop and provide our consumers with the products, which make it easier to live a healthy life every day. Our products are marketed under the following brand names: Nutrilett, Litozin, Maxim, Active Care, Gerimax, Möller’s, Pikasol, Sana-Sol. Orkla Health is part of the Orkla Group.